Piano is a delicate instrument among all other items in your house. Due to their bulky and fragile nature they are extremely difficult to move. They are incredibly heavy and easily prone to damage. Hence a lot of effort is required. Although they have wheels but still dangerous to move around suspecting damage to piano as well as floor. We highly recommend to hire a professional team who are expert moving a piano in short and long distance. Still if you want to move it by yourself then kindly follow the below guide carefully. In any case, do not lift the piano by yourself as they are too heavy and you might injure yourself or damage the piano. So now when you have made a decision to move it yourself then keep there is a large empty space with no obstacles or narrow doorways otherwise you will struggle a lot. If you choose professional grand piano storage or removal agency then you might save yourself from all the below hassles that we will discuss further. - Measuring tape required for proper measurements of the piano. - Moving ramp to slide and glide the piano from height, stairs etc. - Non-slip gloves for better handling your precious equipment. - Blankets for laying the piano part when it is dismantled. - Moving Van for the needful transportation. Do not try to move it single handedly, so you must require 4 people as helpers for lifting and tipping for better handling. ● Remove all the nearby household items and furniture. ● Cover the top of the piano using ono-slip blankets to keep the finish intact. ● Edges must be fold under and kept in a place by the help of moving cords. ● Place movable blankets under one end of the piano, and then place a movable dolly nearby the opposite end. ● Now you can move the piano across the floor using dolly wheels and take the piano outside. ● Ask 2 or 3 movers to reposition themselves on stairs to help and guide the dolly wheels. ● It will also help the piano from falling. ● Bring the dolly close to the first step of the staircase and now lift it from the front and push the piano. 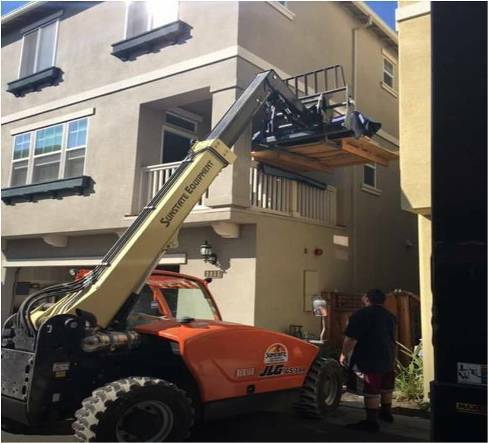 ● Movers should hold the piano firmly and tightly when the back wheels of the dolly are brought close to the top step. Then start pushing the backside of the piano upwards so the front wheels could rest on snext step. ● Without rushing you have to repeat these steps until you successfully bring the piano all the way downstairs. We assume your piano is on the dolly with wheels. By rolling the front wheels you should load the piano on the truck up to the truck floor. You will require 3-4 helpers to push the dolly from ground to the truck ramp. Then you will require a couple of more helpers who could steer the piano to ensure it remains static throughout the journey. You might face various circumstances while moving your piano depending upon the area, piano location, door width etc. Hence we advise you to calculate all the risks involved at your site and then take the moving decision wisely. Its awesome to know there is a cool kind of service like this. Quite simply thing but its indeed need seriuos treatment. Ternyata tidak semudah dibayangkan untuk memindahkan piano. Kirain asal angakt dan bruk,beres deh.